Stuck like glue, human beings are simply made for attachment. Though you might often hear people describe themselves as a "people person" or a "lone wolf," make no mistake, we are biologically inclined to link ourselves with others. From the very first hours after birth into childhood, humans seek out security and align ourselves with others we can trust and depend on. Attachment theory says that is these early experiences that shape our attachment styles and mold how we interact with others throughout our lifetimes. Clingy? Stand-offish? Unable to connect? Thank mom and dad. Attachment styles impact our relationships with others as well as ourselves significantly. By understanding which type of attachment style we possess, we can become more self-aware and live a fuller, more authentic life. Having insight regarding different types of attachment can also lead to stronger connections and healthier relationships. Knowledge of attachment styles can bring about positive growth and life-altering change. So how did it all begin? In the 1960s and 1970s, research conducted by psychologists John Bowlby and Mary Ainsworth gave birth to a concept now known as Attachment Theory. Through their work, the pair surmised that attachment is a deep emotional bond that connects one person to another across time and space. As children, we attach ourselves to our parents naturally. As we learn to trust and depend on our parents for survival, we develop attachments to them. It is these parental responses to our needs that shape the way we will connect with others throughout our lives. Proximity Maintenance - The longing to be physically near the people we are attached to. Safe Haven - Being able to return to our parent for comfort and safety when were are threatened or afraid. Secure Base - Our parent acts as a base of security from which the child can explore the world around him. Separation Distress - When the parent (or another attachment figure is away) anxiety can occur. Through their Evolutionary Theory of Attachment, researchers Bowlby, Harlow, and Lorenz explain that children primarily attach themselves to one person during early infancy/childhood (ages 0-5). Usually, it is our mother (or mother substitute), and it is this attachment relationship that provides a model for all future relationships. 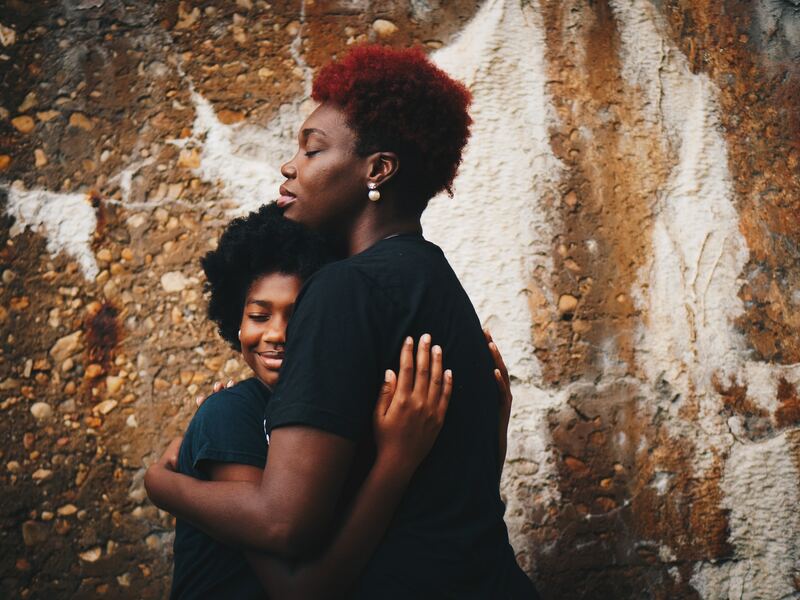 If the parent-child relationship is ended, disrupted, or otherwise unhealthy, it can have serious consequences for future connections. It is these interactions (or lack thereof) that lead people to form one of the following four types of attachment. What Are The Different Types Of Attachment? Much like computer operating systems, the closeness-seeking system of attachment runs in the background unnoticed. Unless there is a malfunction, a child will develop a secure attachment style. Between 50 to 60 percent people have this style, although this percentage will continue to change as the population grows. Though most people will fall into one category or another, secure attachment is what all of us should be striving towards. Similarly, adults who were securely attached to their caregivers as children have a long-term relationship in which they can trust their partner and demonstrate good self-esteem. Not only are they comfortable sharing their feelings, hopes, and dreams with their partners, they're also able to seek support when needed. Secure individuals can support their partners as well and comfort them when they are hurting. If you're looking for a partner, selecting someone with a secure attachment type is one way to lessen problems in your relationship. If you can't relate to the first attachment type, it's probably because you developed an insecure attachment during childhood. Even though only 15 to 20 percent of people have this type of attachment, they make up a great deal of relationship counseling clients. This is because people with this type of attachment have a difficult time maintaining healthy relationships. As with secure attachment types, it all starts in childhood. People with this type of attachment likely had parents who were preoccupied or otherwise unable to meet their needs consistently. They weren't abandoned and usually had parents that cared for them. However, their inner feelings of security weren't fully developed. Sometimes they could depend on their caregivers and sometimes they couldn't. It is this inconsistency that creates an emotional storm within the anxious child/adult. It might be hard to admit that this is your attachment style, even if you fit the bill. After all, no one wants to describe themselves as needy or anxious. But thankfully, attachment types are fluid and can be shifted with self-acceptance and work. If you're looking for the opposite of the anxious-preoccupied attachment type, you've found it. Though the two types have one similarity (they're both insecure) how they relate to a relationship couldn't be more different. Emotionally distant and avoidant, they don't crave love, they run from it. Interestingly, many anxious attachment types find themselves in relationships/marriages with dismissive avoidant partners. The more the needy partner pushes for love, intimacy, and approval, the further the dismissive partner distances themselves. Upset by this, the non-avoidant partner may make threats to end the relationship. The dismissive partner's response: "I don't care." Able to detach themselves from others, shut down completely, and live their lives inwardly, and give off a pseudo-independence that suggests they do not need connection. This is simply untrue. I'm sure by now; you know the pattern. This avoidance of intimate relationships is based on childhood events, usually, a situation in which a caregiver was unable or unwilling to parent in a way that would build a secure attachment. In some situations, parents were there physically, but for one reason or another wasn't able to meet their child's emotional needs. To get by, the child learns to pretend they don't have emotional needs at all. 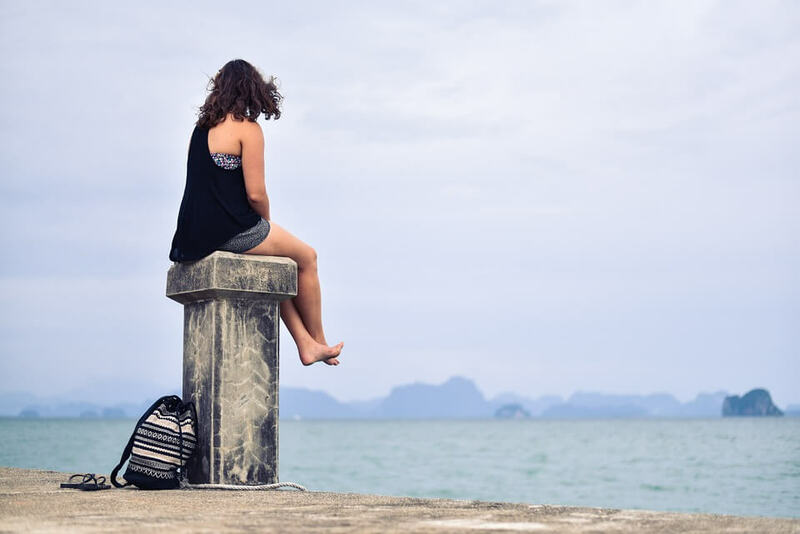 Though they may desire relationships and intimacy deep down, avoidant attachment types are usually unable to fulfill their desires because of their internal issues. More likely to cheat on their partners and end up divorced, even in subsequent marriages, avoidant types of attachment are unhealthy and need to be moved towards secure attachment. As with any type, this shift in attachment type is possible if guided by a mental health professional who knows how the process works. Because avoidant types have a hard time talking about feelings, seeking out and going to see a therapist can be a daunting task. For this reason, online programs like Betterhelp are a great option. Betterhelp will match you with the right therapist who can guide you through the process of changing your attachment style in the comfort of your own home. The final type of insecure attachment is one not based solely on neglect or preoccupation but on intense fear. Parents of children with a disorganized attachment type are usually dealing with trauma themselves. Because of unresolved trauma, pain, or loss, the parent is unable to attach themselves securely to their child. The list above may seem discouraging, especially if you feel that you have a disorganized attachment type. But keep in mind that the first step in fixing a problem is seeking knowledge. Once you are armed with information about your way of attaching to others, you can move forward with a plan to morph this unhealthy pattern into a secure one. Of course, it's not recommended that you go at this alone. Instead, let a program like Betterhelp private online counseling guide you through the process so that you can live the rest of your life surrounded by loving, stable relationships. It's never too late to become securely attached to the ones you love.